There are lots of different sizes, shapes and styles of radiators on the market, and each and every year these numbers seem to be growing. However, it doesn’t have to be all that complicated to find a radiator that matches your home’s décor. All of them function in pretty much the same way so it really does all come down to what kind of look you want to achieve with them. Likewise, if you know what style of radiator you want but can’t find one in your colour scheme, you can always use paint on a white radiator to make it match. Keep reading for some more tips. The traditional style aluminium radiator is what is found in most homes. It’s normally positioned under a window, which isn’t actually very energy efficient, but is usually the easiest place to locate them. You can get aluminium radiators in almost any size you like so they can be hidden away, or likewise you can buy or build a wooden box around them with pattern air holes so they are completely hidden. You can also paint them any colour you like if you use a radiator heat resistant paint. That said, these traditional radiators are now being manufactured with aesthetics in mind, so you may just find the perfect model for your home. 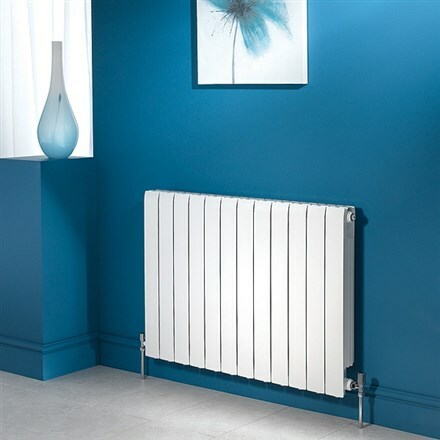 These are the thicker,bar like radiators, probably most recognised for being in schools, hospitals and commercial/industrial settings as well as period houses. Old school radiators can be used as a statement art piece, and a lot of designers are incorporating them into brand new builds to capture the eye rather than trying to hide them away. Yes, you can even go as far as switching your radiator around so it’s vertical instead of being in its traditional horizontal position. Similar to the period radiators, vertical radiators are often used as statement pieces and are almost positioned as artwork that is of course fully functional too. Modern flats and small homes may also choose to utilise these, especially if space is limited, as they free up more wall space. This may sound obvious, but space is also at a premium in bathrooms. So, instead of opting for a traditional radiator, a better choice is a towel radiator. This way, you can keep your bathroom warm and dry your towels as well. Towel radiators have been designed to fit into any available wall space, they’re energy efficient, and they will free up floor space as well. They’re a top choice for all bathrooms. Whichever radiator you choose, it has to work for you and fit in with your decor and furniture. Picture how you want the furniture set out in your room and then design your radiators around that. This way, you won’t have to compromise on the final layout of your room. Do you have any more tips? Let us know in the comments.